Supportive community. Unbeatable location. 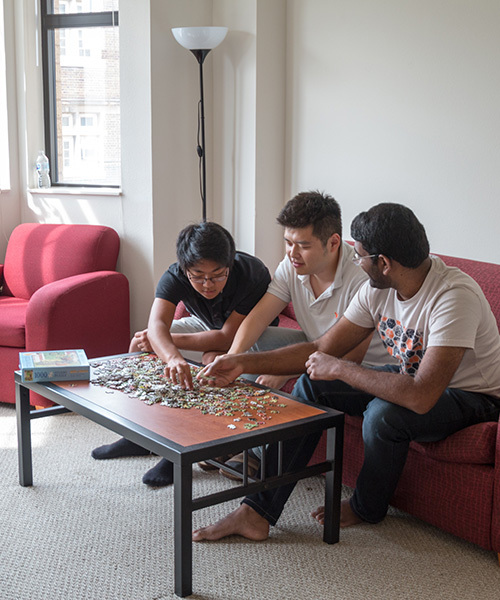 Pres House Apartments are more than just a place to eat, sleep and study. Live here, and you’ll live at campus’ best location: a place which will become your home away from home. At Pres House Apartments, a strong sense of community underlies everything we do. Don’t just take our word for it – our residents speak volumes of their time living here. In fact, we have the highest renewal rating among our competitors. We invite you to consider Pres House Apartments in your search for next year’s campus home. Why Choose Pres House Apartments? Rent Scholarships: Pres House Apartments exists to benefit residents, not to profit owners. 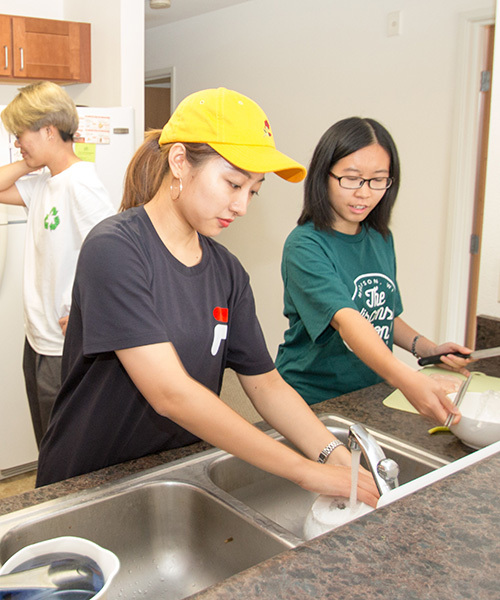 Pres House is a non-profit whose mission is to serve the community through programs and scholarships that help pay for rent and enrich residents’ experience. Academic Success: We’ve created an environment conducive to learning – our communal lounges and study areas are the perfect place to meet for a group project or to study solo. Community: We celebrate diversity and treat one another like family, regardless of beliefs, ethnicity or gender. Personal Responsibility: We respect each other and make decisions that benefit not only ourselves, but also the larger apartment community. Spiritual Exploration Or Wellness: We encourage our residents to prioritize mind/body health, and we provide a safe and welcoming environment for any and all types of exploration.